Alycia recently had an academic conference to attend in St. John's, Newfoundland. I tagged along, because when are you ever going to have a reason to go to a place like Newfoundland? 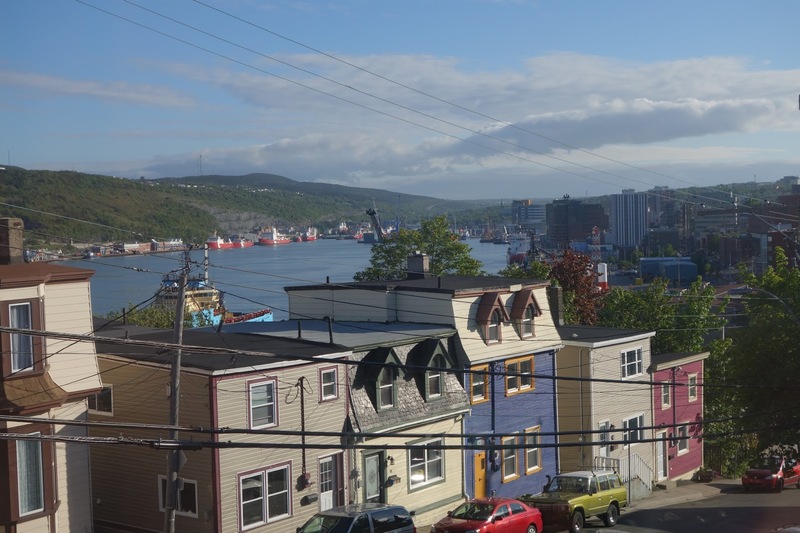 St. John's is a town of about 200,000, situated alongside a working harbor, and has a pretty interesting and vibrant downtown. This was the view from our hotel room, the harbor to the left and downtown to the right. It was quite a lovely view and we enjoyed the salty sea air as it breezed into our room. St. John's claims to be the oldest city on North America and this harbor has been used as a shipping and fishing port for many hundreds of years. The road alongside our hotel went straight up to Signal Hill. This is the view of the harbor and city of St. John's from Signal Hill, and the ocean is directly behind us. 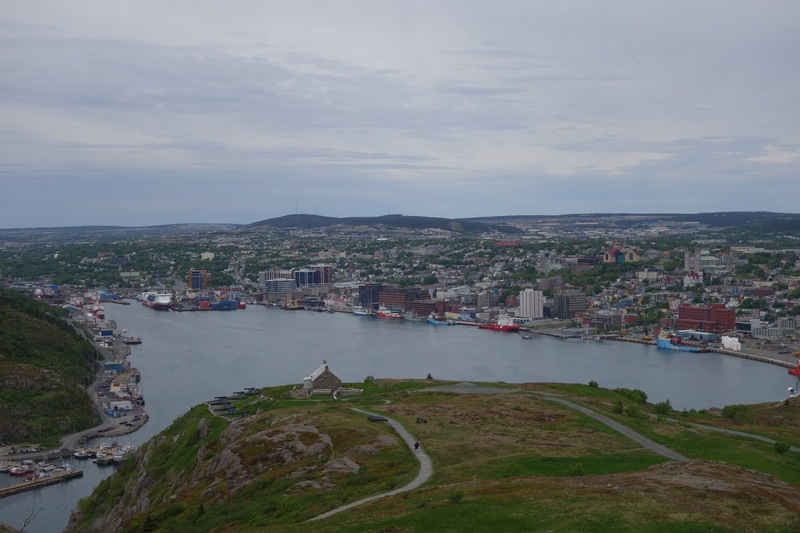 Signal Hill was the site of British, then French, then British forts throughout the years and was the also the site of a battery of cannons that guarded the entrance to the harbor. Signal Hill is also the site where Guglielmo Marconi received the first Trans-Atlantic wireless radio signal from England in 1901. 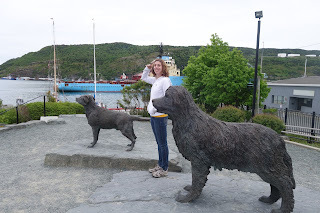 Your next fun fact about Newfoundland (and Labrador in this case) is that it is the origination of both the Newfoundland and Labrador dogs. There are statues in the city commemorating these dogs, which both were originally bred as working dogs to help fishermen. It's possible that the Lab or Retriever that's sitting near your feet, snoozing away, is descended from the line of working dogs originally bred here in Newfoundland. Just north of downtown was the Quidi Vidi Brewing Company, one of the few local brewing operations in the city. We took a brewery tour and learned a lot about the local beer scene - about 98% of beer sold is major brand - think Coors, Lite, Molson, etc. 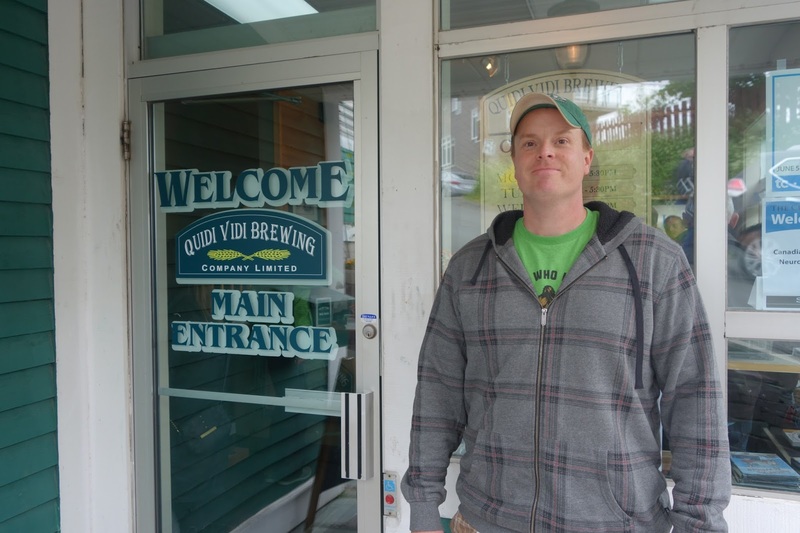 Quidi Vidi's small 2% market niche has still made them a local favorite and they sell all the beer they can produce annually. The Quidi Vidi Brewery was located on a tiny cove north of downtown. When the Canadian government shut down the cod fisheries in the early 1990's, it caused a huge economic disruption and drastically changed the local way of life, not just here but throughout the maritime provinces. Fishing is still done, but on a much smaller scale than in the past. 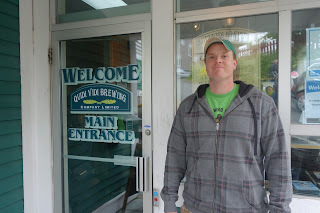 The Quidi Vidi Brewing Company took over an abandoned cod processing building in the late 1990's and has used it as their home base ever since. Quidi Vidi brewed a special beer called Iceberg Beer. 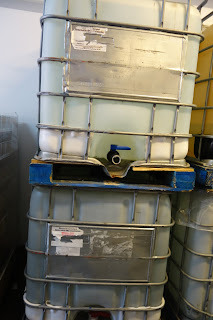 They (no joke) have a huge barge that goes and plucks icebergs out of the water, melts them, and then they use the water to make iceberg beer. They claim to be one of only a couple of makers of iceberg beer in the world, and we had a chance to sample some, it was quite tasty. 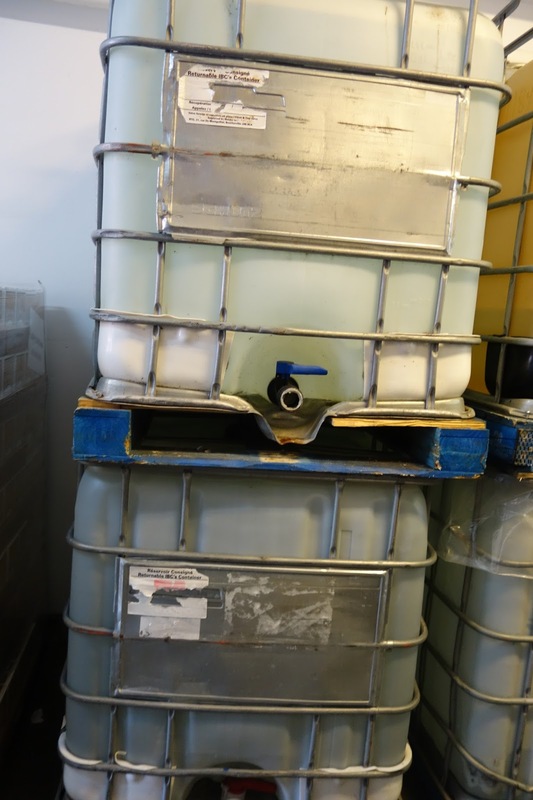 These tanks are filled with melted icebergs and they'll use the water to make iceberg beer. Just a half hour east of downtown is Cape Spear, and it is the Easternmost point in the entire continent of North America. There are signs showing the latitude/longitude of the spot, as well as a "Canada Begins Here!" sign. 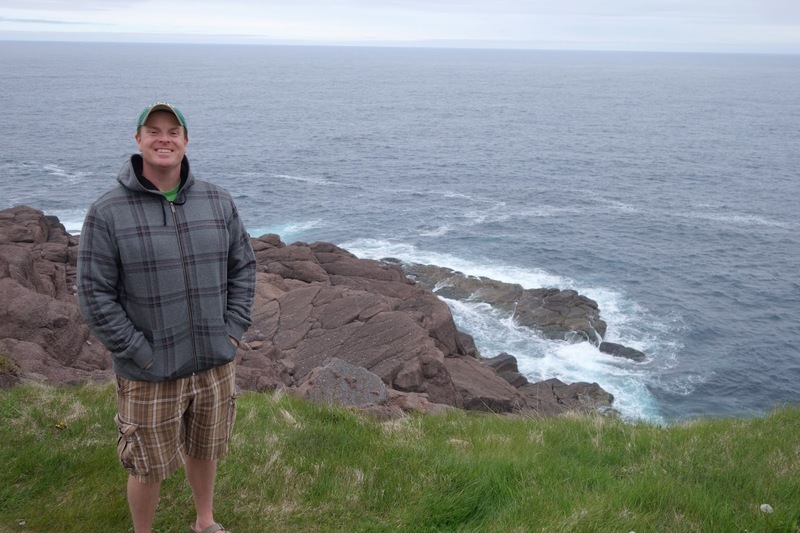 This is a picture of John overlooking the Atlantic Ocean at the Easternmost point in North America. Naturally there was a lighthouse here. We learned that they're no longer called "lighthouses" since they're fully automated and don't require people to live in them. The correct term that's currently used is "light station". Here Alycia poses cutely by the Cape Spear light station. On the way back into town we stopped at the railroad museum. 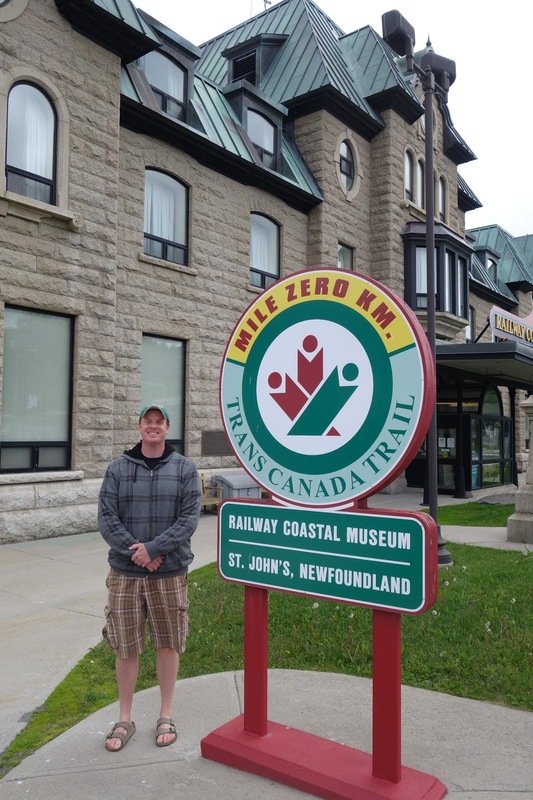 Having survived many forcible trips to railroad museums as a youth, it would have been too traumatic to actually go inside, so we opted for a few photos outside the building just to taunt my Dad back in San Diego. I can't make this up. 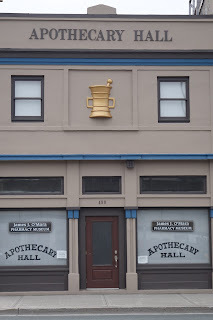 Literally right across the street from the railroad museum was a Pharmacy Museum. For my Dad (who is a retired pharmacist and railroad enthusiast) this would have been a glorious place to visit. Us? 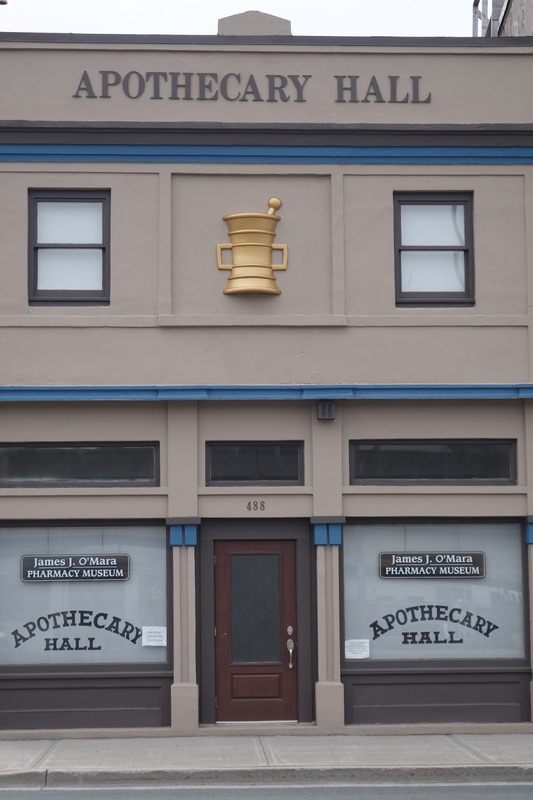 We passed on the pharmacy museum, it would have been too much excitement for one day. 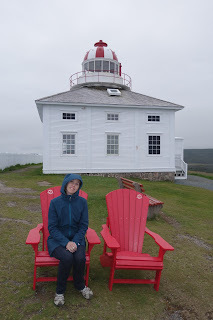 We'll continue our tour of Newfoundland in the next post and look at more lighthouses, some icebergs, and Gros Morne National Park. Stay tuned! I had a black lab when I was younger and he was the greatest swimmer and diver. Just amazing. He was bred as a working/hunting dog, so it was in his genes. It looks like a beautiful place there. I am sure I would fall in love with it being such a nature fanatic. Yes GWGT, just about every Lab I've ever known has loved the water. 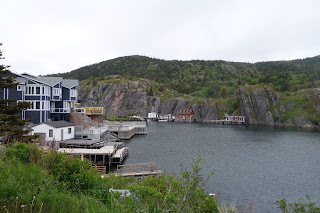 The people of Newfoundland did seem to be very attuned to outdoor activities. There were a ton of people out hiking/jogging and folks were stopped at most ponds and lakes (there were a TON of them) fishing. It's hot out, why not snuggle?